Shortly before his execution in 1915, activist and songwriter Joe Hill sent a telegram to Bill Haywood that read, in part, “Don’t waste any time mourning. 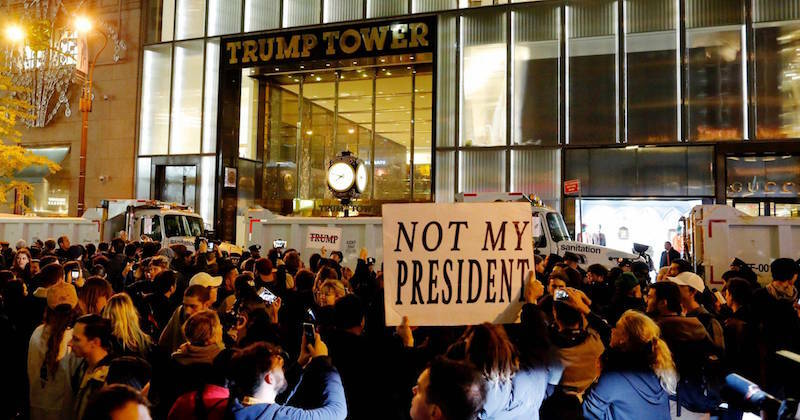 Organize!” It’s an oft-repeated phrase that’s gained traction once again in the days since Donald Trump’s election to the presidency. 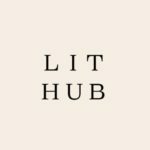 For those looking to channel their fear and grief into anger and action, here are 25 books which help illustrate exactly what’s at stake under the new administration and demystify how you can—and why you should—resist. 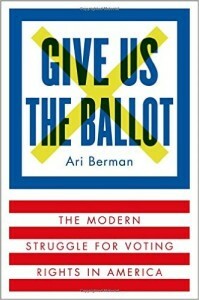 As Berman wrote last week in The Nation, “this was the first presidential election in 50 years without the full protections of the Voting Rights Act.” Though it may never be possible to know exactly how many people were kept from the polls by voting restrictions, voter turnout in Wisconsin, in which 300,000 registered voters lacked strict ID, was down by 20%. Give Us the Ballot is an immersive history of the 1965 Voting Rights Act as well as all of the forces that have sought to erode and overturn it since. 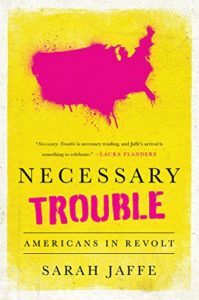 In Necessary Trouble, labor reporter and Nation Institute Fellow Sarah Jaffe charts the rise of American protest and direct action groups since the 2008 financial crisis, from Occupy Wall Street to Black Lives Matter to Fight for $15 and everything in between. Jaffe’s reporting is a heartening reminder that electoral politics are just one of many possible paths towards progress. 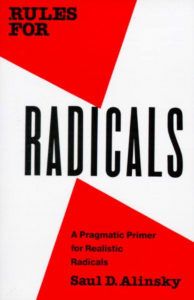 Published in 1971 shortly before Alinsky’s death, Rules for Radicals is a vital handbook for present and future community organizers: ten chapters of practical advice for uniting the groups Alinsky refers to as “Have-Nots” in order to effect social change and gain political, legal, and economic power. 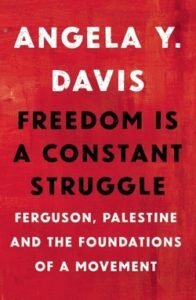 In these newly collected essays and interviews, legendary activist and scholar Angela Davis explores the connections between state violence and oppression across the globe and across time, from the South African anti-Apartheid movement to today’s movement for prison abolition and beyond. 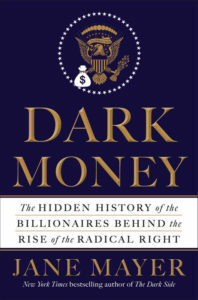 The culmination of five years of in-depth reporting, Dark Money is Jane Meyer’s investigation into the network of exorbitantly wealthy people—spearheaded by billionaires Charles and David Koch—with extreme libertarian views who systematically bankrolled a plan to radically alter the course of American politics. 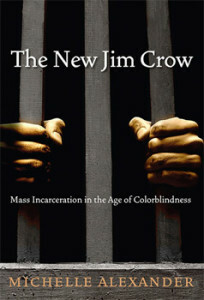 In The New Jim Crow, legal scholar Michelle Alexander reveals how the targeting of black men through the War on Drugs has resulted in a criminal justice system which functions as another means of racial control. 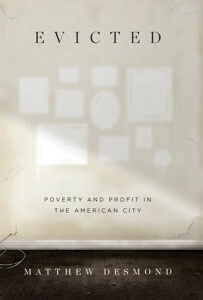 Evicted is a moving, on-the-ground look at extreme poverty and economic exploitation. Harvard sociologist Matthew Desmond spent years of embedded fieldwork in Milwaukee’s poorest neighborhoods tracking eight families who’ve faced eviction—a once-rare occurrence that has now reached epidemic proportions in some cities. Based on several years of research and reportage, The Muslims are Coming! 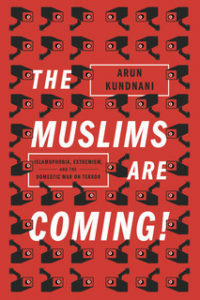 is an incisive critique of the repressive and surveillance-heavy methods of combatting homegrown terrorism utilized in both the US and UK. 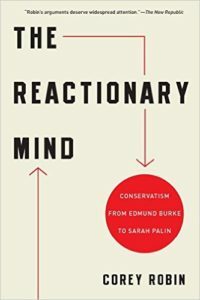 In The Reactionary Mind, Corey Robin traces modern Conservatism back to its roots in the reaction against the French Revolution, arguing that the fundamental motivation of the right is hostile resistance to the emancipation of the lower classes—and the defense of power and privilege in the face of movements towards freedom and equality. 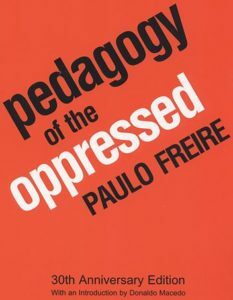 First published in English in 1970, Pedagogy of the Oppressed proposes an alternative educational model—and relationship between student, teacher, and society—deeply informed by Marxist class analysis, in which learners are viewed not as vessels to be filled with information, but as the co-creators of knowledge. 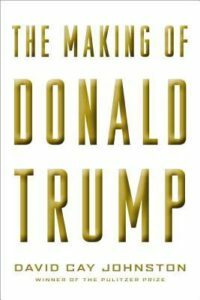 The result of more than three decades of reporting, and drawing on interviews, financial records, court documents, and public statements, The Making of Donald Trump is an in-depth look at the controversial life and legal problem-ridden career of the president-elect. 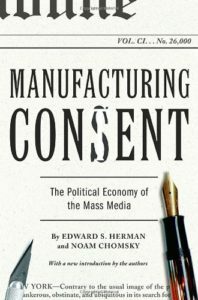 In Manufacturing Consent, Chomsky and Herman argue that despite the public image of journalism as rabble-rousing and obstinately in pursuit of the truth, the news media’s actual effect is largely to uphold existing power, privilege, and the political status quo. 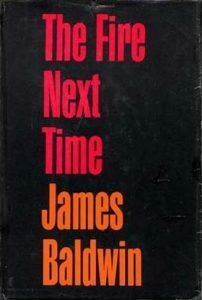 Comprised of two essays, one of which takes the form of a letter to his 14-year-old nephew, The Fire Next Time is Baldwin’s investigation into the centrality of race in American History as well as the occasionally fraught relationship between race and religion. 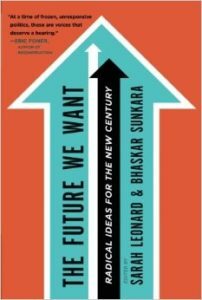 A manifesto in ten essays, The Future We Want is an anthology of alternative solutions to some of America’s most pertinent political and economic questions. 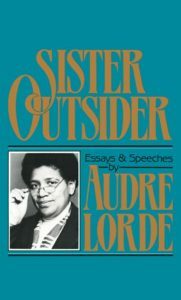 In 15 classic essays and speeches, black lesbian poet and feminist scholar Audre Lorde challenges sexism, heteronormativity, racism, homophobia, and classism, and presents a complex and interlocking theory of oppression. 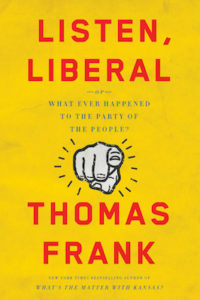 Thomas Frank, Listen, Liberal: Or, Whatever Happened to the Party of the People? In Listen, Liberal, Frank calls on the Democratic Party to repudiate cultural and corporate elitism, which has maintained prosperity for few and worsened inequality for many, and return to their historic goals—namely their commitment to the working class. 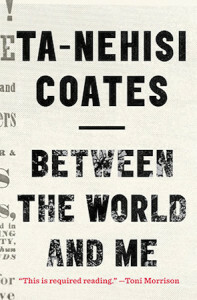 Written as a letter to his then-15-year-old soon—in the vein of Baldwin’s The Fire Next Time—Between the World and Me is an eloquent and lyrical explication of American white supremacy and what it means to inhabit a black body today. 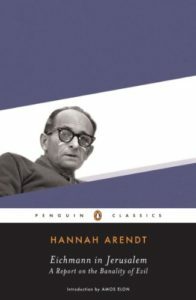 Originally published as a series of articles in The New Yorker, Eichmann in Jerusalem is Arendt’s classic report on the trial of Nazi leader Adolf Eichmann, in which she challenges the widely held belief that Nazi criminals were psychopathic, or manifestly different than “normal” people. In Disidentifications, Muñoz studies the ways that those outside of the sexual and racial mainstream negotiate majority culture, developing new theories of performance, survival, and activism. 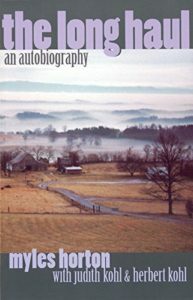 The Long Haul is the autobiography of educator and labor organizer Myles Horton, founder of the Highlander Folk School, which helped to mobilize black voter registration, support unions, and advocate for civil rights. 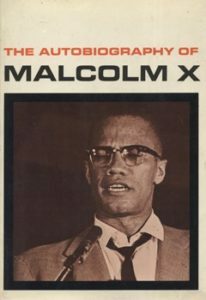 Based on a series of in-depth interviews that Malcolm X gave journalist Alex Haley between 1963 and his assassination in 1965, The Autobiography of Malcolm X lays out the activist’s philosophy of black pride, black nationalism, and pan-Africanism. 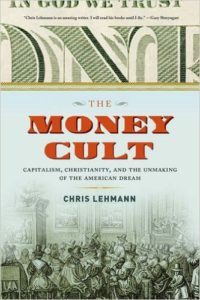 In The Money Cult, Baffler editor Lehmann untangles the long and complicated history of the relationship between capitalism and religion in America. 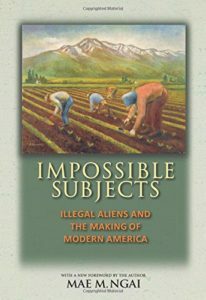 Ngai traces the origin of the “illegal alien” in American law and society, demonstrating the way that immigration restrictions like national-origin and numerical quotas codified new categories of racial difference. 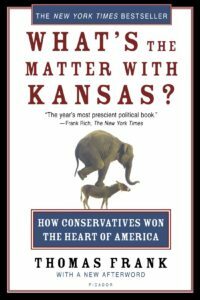 Frank’s book tackles one of the most pressing political questions of our day: how were so many Americans, particularly in the heartland, convinced to vote against their best economic and social interests?